Well, the correct hand strengthening exercises will advance you. But THIS stuff, below? - Not really. Question: Would you REALLY use something like this? Note this well: in hand strengthening exercises, the BIGGEST mistake any musician can make is to use "EXTERNAL RESISTANCE". Well, here's a question for you: Not to be flippant, but have you ever seen a ballerina at the gym doing 300-pound leg presses? Or even a gymnast? No. Why? Because they need to be FAST and FLEXIBLE and PRECISE.. not "musclebound". NEITHER SHOULD A MUSICIAN SUBJECT HIS HANDS OR FINGERS TO AN EXCESS AMOUNT OF PHYSICAL STRESS!! The Cowling System gets the job done WITHOUT the use of outside heavy force or external resistance. "Firm and compact muscle can be developed by the use of dumbbells, corks and other mechanical devices, but firm and compact muscle is just what the instrumentalist does NOT want. 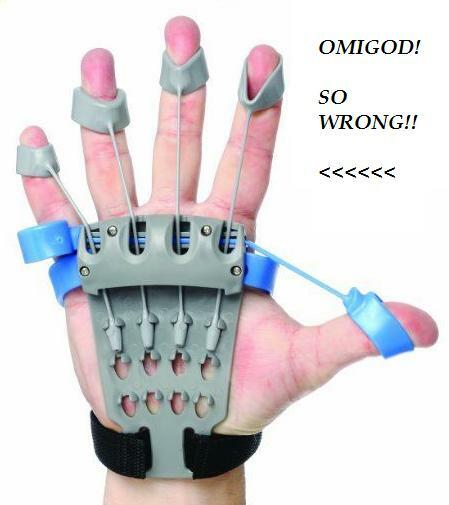 "Hence, no outside force whatsoever should be employed for the purpose of developing hand and fingers." "What the instrumentalist needs is soft and flexible muscle of good quality..."
Did you know it's proven that the best and fastest way to build the kind of muscle tissue a MUSICIAN needs is through ISOMETRIC ['same distance'] exercises? - Exercises in which the muscle being developed is not allowed to contract or "flex" against resistance? Well, this is EXACTLY the way in which the Cowling System exercises are done! ..something that is usually very difficult to do. "Back in the 1950s, researchers Hettinger and Muller found a single daily effort of two-thirds of a person’s maximum effort exerted for six seconds at a time for ten weeks increased strength about 5% per week, while Clark and associates demonstrated static strength continued to increase even after the conclusion of a five-week program of isometric exercises. ~ from PubMed, via "breakingmuscle.com"
What is fascinating about the Cowling system is that it uses isometric principles to the full. 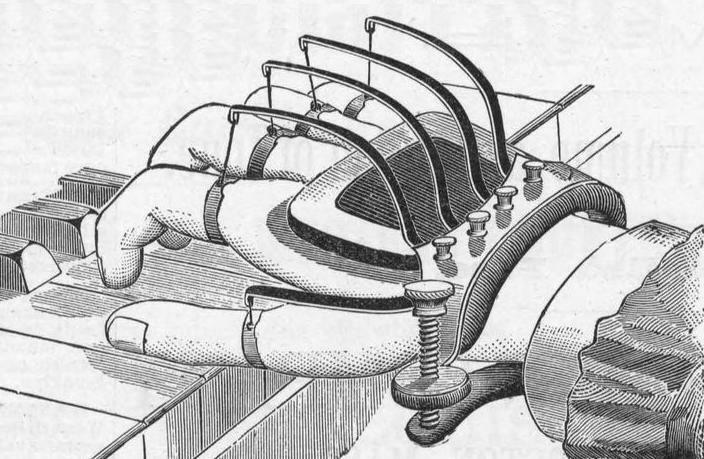 Yet, The Cowling System dates from 1904 - many decades BEFORE isometric exercises were even known about as such! "I find it remarkable that such a system that made a world of difference in my piano playing as a teenager has gone down the 'plughole'. I wish someone would resurrect these exercises somehow. EVERY musician can benefit greatly from hand strengthening exercises. 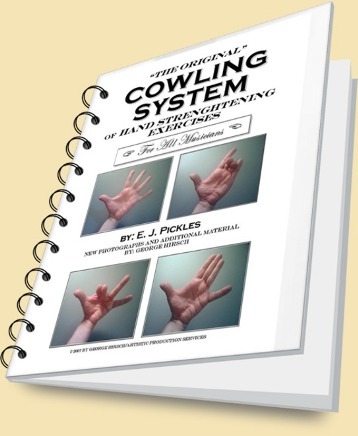 And - by reported results - the most brilliantly effective set of hand strengthening exercises for every musician is "THE ORIGINAL" COWLING SYSTEM©! OK. I want the book!